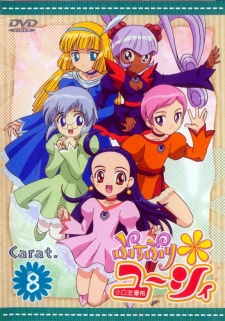 Plot Summary: Petite Princess Yucie follows the adventures of country-girl Yucie as she is admitted by chance to the prestigious Princess Academy, where the daughters of royalty and nobles attend to learn magic, dance, etiquette, defense, art and music. There, she experiences many things in her quest to collect the "fragments" of the Eternal Tiara in hopes that she may become the legendary Platinum Princess, who is chosen every 1,000 years. Yucie, along with the four other Princess candidates who are initially her rivals but are won over by her offer of friendship, must grow in heart--if not in height--to become worthy of the Tiara. Yucie is a spunky heroine who is a genius of smiles, and who, despite her common lifestyle, is actually the daughter of a noble and former hero who has retreated from courtly life and lives in the countryside.